* NAGORNO-KARABAKH (NK), an Armenian Christian enclave in Turkic Muslim Azerbaijan (RLPB 351), which, over 1-5 April, saw the worst hostilities since the 1994 ceasefire. UPDATE: it has emerged that, while the Azeri military was shelling Nagorno Karabakh (NK), Azeri soldiers who managed to invade NK were committing atrocities. In the NK village of Talish, Azeri soldiers brutally murdered three elderly civilians, mutilated the bodies of 18 Karabakh soldiers, and beheaded a young Armenian Yazidi soldier. On the night of 7 April -- two days after the ceasefire -- Azeri forces shelled Karmir, Ttudjur, and Baganis, three villages in north-east ARMENIA. Fortunately there were no casualties. Tensions are high. Wedged between belligerent NATO-member, neo-Ottoman Turkey, and belligerent, US-allied, oil- and gas-rich Azerbaijan, the remnant Christian Armenians need our prayers. 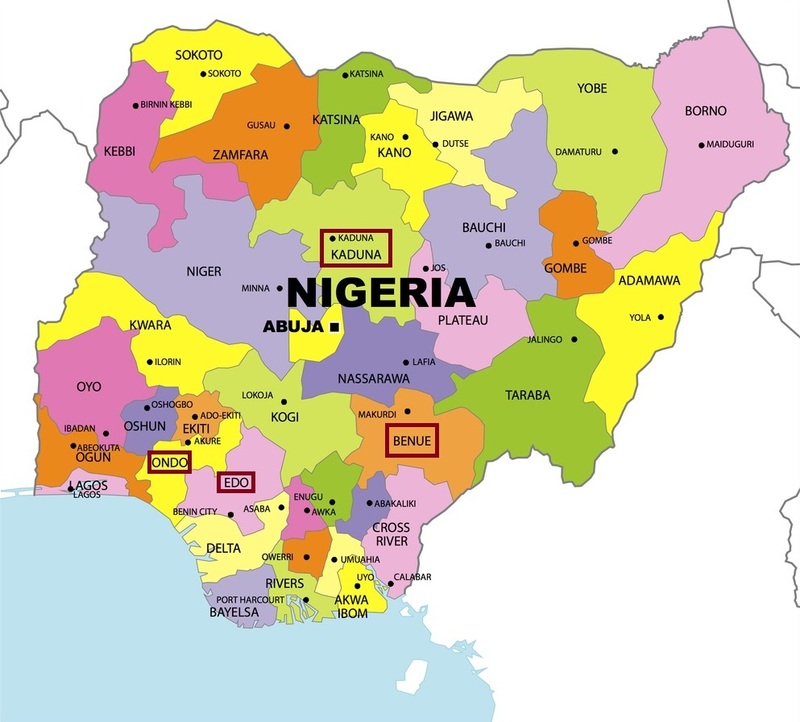 * NIGERIA (RLPB 352), where Boko Haram terror and Muslim Fulani predatory migration are inflicting appalling suffering on the Christian peoples of northern Nigeria. May God intervene to bring justice, security and peace. * SUDAN (RLPB 352), where the Arab-Islamist Sudan Armed Forces (SAF) and allied militias continue to press in on the predominantly Christian African Nuba peoples of South Kordofan. Fighting continues to rage, but the 'rebel' Sudan People's Liberation Army-North is holding its ground. May God intervene to 'turn back the battle' (Isaiah 28:5-6). After three months in 'black jail' detention for criticising Chinese Communist Party (CCP) policy, Rev 'Joseph' Gu Yuese, of Hangzhou's 10,000-strong, CCP-approved Chongyi Church, was released on 31 March. He remains under house arrest. On 14 April, when bulldozers arrived at Beitou Church in Zhumadian, Henan Province, Pastor Li Jiangong and his wife, Ding Cuimei, stood defiantly in front of the machines. Their efforts to prevent the demolition of the church were, however, in vain. Urged on by his supervisor, the bulldozer operator proceeded not only to demolish the property, but to deliberately bury the couple alive. Li survived, but Ding did not. China Aid reports that in response to an outcry, the demolition crew has been arrested and an investigation is under way. Pray for the Church in China. With the support of Russia, a re-energised Syrian Arab Army (SAA) has brought a greater level of security to the country's west, specifically the densely populated north-south Aleppo-Damascus corridor and the coastal provinces of Latakia and Tartus. Consequently, this year's Easter celebrations were reportedly the best for five years. This was especially so in Damascus, where Christians (many thousands of whom are displaced) filled the churches and the streets where Muslims joined in the festivities. The battle for Aleppo, Syria's commercial capital, is heating up. Though most of Aleppo's estimated 200,000 Christians have fled and are now displaced in Latakia and Damascus, many remain and are gravely imperilled. Rebel shelling has targeted Kurdish and Armenian districts; many have been killed. There are also reports that the rebels are attempting to ethnically cleanse Kurds, Armenians and Assyrians out of the city. North of the city, al-Nusra and IS are fighting each other. South of the city, they are co-operating in an effort to cut the Khanasar Road, the only government-held road into Aleppo, critical for supply into government-held areas. May God intervene on behalf of the imperilled remnant Church trapped in Aleppo. April 22 marked the third anniversary of the abduction of Bishop Yohanna Ibrahim of the Syrian Orthodox Church and Bishop Boulos Yaziji of the Greek Orthodox Church. The bishops had been abducted by foreign jihadists while travelling north of Aleppo. They had been to the Turkish border to negotiate the release of two priests abducted six weeks earlier. Their driver (a priest) was killed [see RLPB 207 (23 April 2013)]. The fate of the two bishops and two priests remains unknown to this day. Please pray. As part of its war against its Kurdish minority, Turkey has been bombing the predominantly Kurdish city Diyarbakir in south-east Turkey, a city that essentially functions as the Kurdish capital. Situated on the eastern edge of the city, historic Sur district has been the focus of particularly heavy shelling. At the end of March, the government seized some 6,300 plots of land and ordered the residents out, saying the district will be rebuilt. Sur's Kurdish and Armenian populations suspect they will not be able to return and that what is happening is the ethnic cleansing of Sur district. Of particular distress to the Armenians is the government's acquisition of six churches. Unlike mosques which are state owned and funded, the churches are the private property of their foundations. 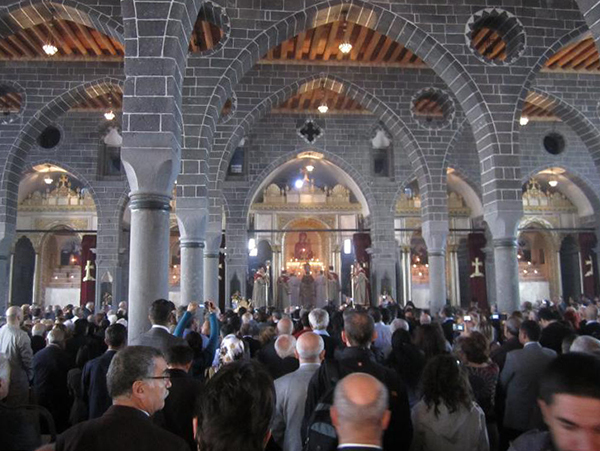 One of the churches seized is Surp (Saint) Giragos Armenian Apostolic Church, one of the largest Armenian churches in the Middle East. 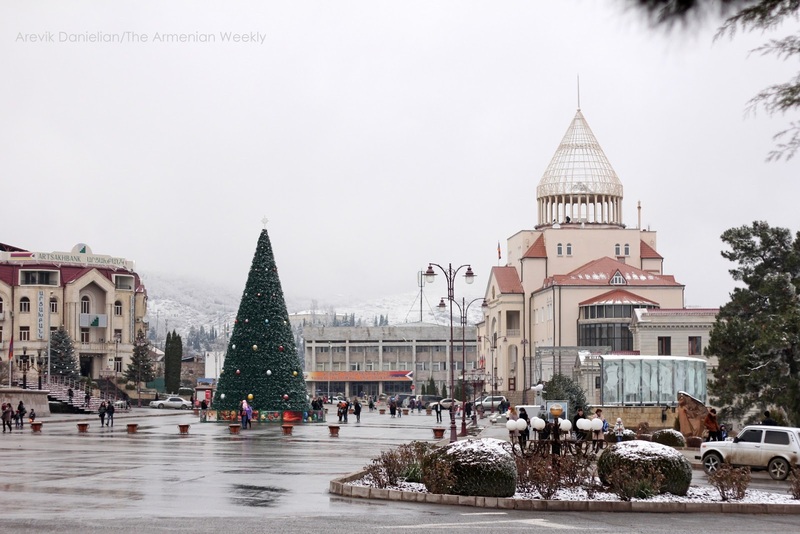 After WWI, this church, which had been a focal point for Armenians before the genocide, fell into disrepair, but the Kurdish administration backed its renovation. 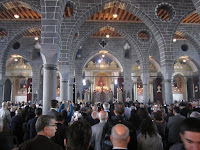 Since its re-opening in October 2011 Surp Giragos has become a focal point not only for Armenian Christians, but for 'Hidden Armenians' -- the descendants of Armenian Christians (often orphans) who were Islamised and raised as Kurds or Turks. The Church has been key to many 'Hidden Armenians' rediscovering their identities. 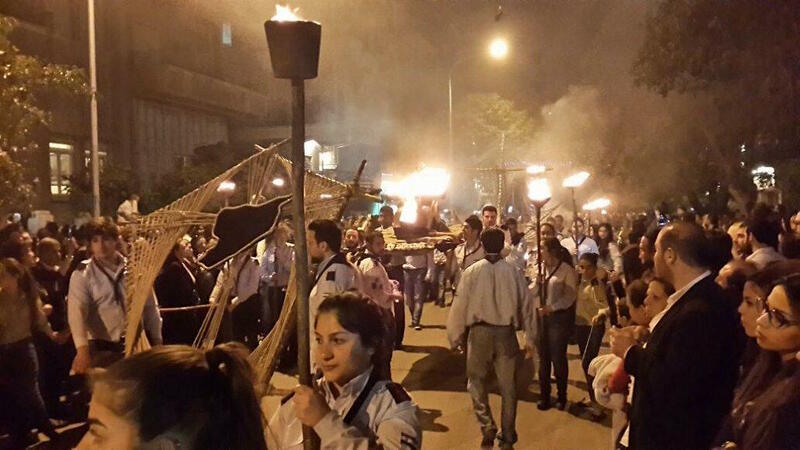 Whilst dozens have been baptised, Church leaders believe there could be as many as half-a-million 'Hidden Armenians' in Turkey. Surp Giragos Church is preparing to take legal action. Pray for the Armenians of Turkey. As reported in RLPB 340 (15 Dec 2015), Christian attorney and religious liberty defender Mr. Nguyen Van Dai was brutally attacked by officials of the Vietnamese Communist regime on 6 December 2015. 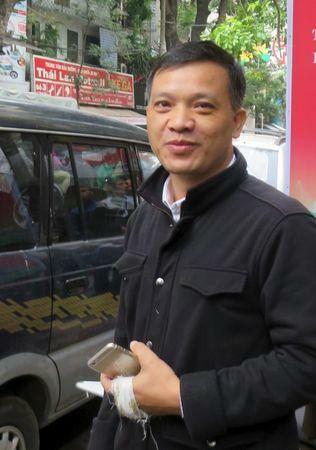 Subsequently, on 16 Dec, Dai was arrested at his home, charged under Article 88 of the Criminal Code ('spreading propaganda against the Socialist Republic of Vietnam') and jailed in Hanoi for four months pending trial. Four months is now up and Dai is still in prison with no date set for the trial. If found guilty Dai would face between three and twenty years in prison. Denied access to her husband, Dai's wife, Vu Minh Khanh -- a strong Christian and active church worker -- is currently travelling in the US, speaking to supporters and members of the Congress and Senate to raise awareness of Dai's plight. [She will be in Australia on 29 and 30 June.] Dai has already spent five years in prison in Hanoi (2007-2011). Please pray. Elizabeth Kendal is the author of Turn Back the Battle: Isaiah Speaks to Christians Today (Deror Books, Dec 2012), which provides a Biblical response to persecution and existential threat. Her second book, ‘After Saturday Comes Sunday’: Understanding the Christian Crisis in the Middle East, is being published by Wipf and Stock (Eugene, OR, USA) and will be released shortly. 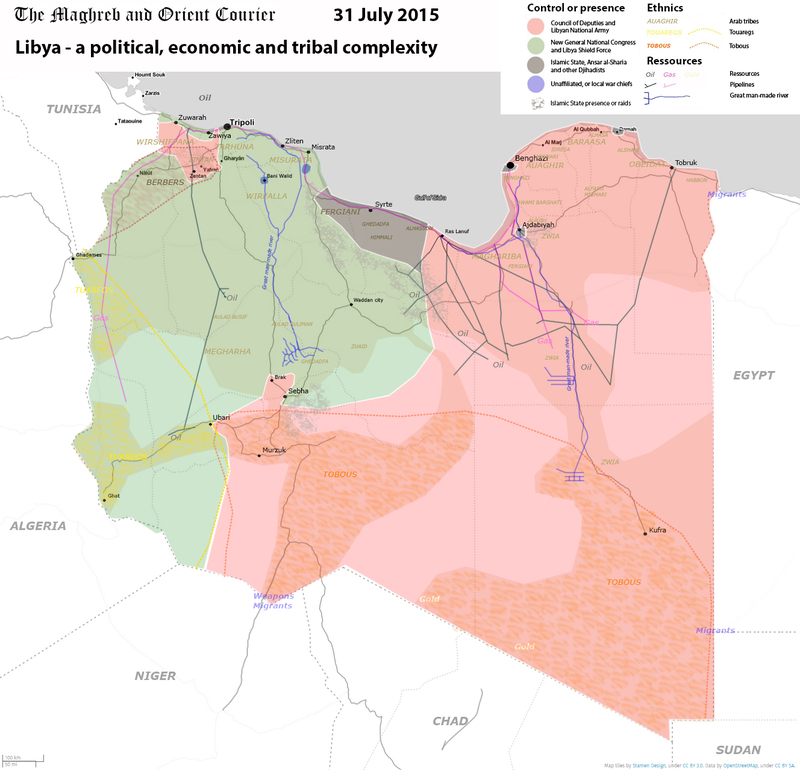 Libya has multiple 'governments'. There is the General National Congress (GNC), which is based in the western city of Tripoli, Libya's capital. The GNC is backed by Libya Dawn (a jihadist coalition which includes many al-Qaeda-affiliated militias) and is committed to establishing an Islamic State. Then there is the ousted House of Representatives (HoR) or 'Tobruk Government', which is based in the eastern city of Tobruk and backed by the anti-Islamist, anti-jihadist Libyan National Army (LNA) under the command of Gen. Khalifa Haftar. In between them, al-Baghdadi's Islamic State / Caliphate (IS) controls at least 150km of coastline around Sirte. The 'international community' has entertained hopes that the Tripoli government might voluntarily integrate with the Tobruk government in a Government of National Accord (GNA) to form a unified front against IS. Though a UN-backed deal was brokered in December 2015, hardliners on both sides rejected the deal, with Islamists refusing to co-operate with nationalists and vice versa. Despite Western-UN backing, the GNA has neither 'legs' nor legitimacy. Nevertheless, it seems the GNA will soon invite Western powers to launch an anti-IS military intervention in Libya. While the UN was busy forming a 'unity government', senior leaders of Libya's Muslim Brotherhood and the al-Qaeda-affiliated Libyan Islamic Fighters Group (who were part of the Tripoli-based government) were busy reaching out to senior leaders of other al-Qaeda affiliates and to IS, proposing the creation of a unified Majlis Shura (Islamic consultative council / parliament). 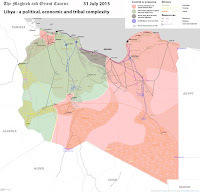 The Islamists know that unity is essential if they are to seize and hold Libya's oil infrastructure while resisting the Libyan National Army and any Western intervention. According to Defense & Foreign Affairs Strategic Policy, the official magazine of the International Strategic Studies Association, (Issue 3, 2016), efforts to forge jihadist unity have been phenomenally successful. The desire for unity is driven by the realisation that Libya would be the perfect launching place for Islamic jihad into Egypt and all North Africa, the Maghreb and the Sahel, as well as into Italy and all Europe. [Tripoli is only 300 km from the Italian island of Lampedusa, complete with harbour and airstrip.] To that end, IS’s Caliph Ibrahim (Abu Bakr al-Baghdadi) has deployed some of his most senior, experienced and widely respected commanders to Libya. He has also confirmed he is willing to work in unity with Muslim Brotherhood and al-Qaeda affiliates without requiring them to pledge allegiance to the Caliphate. IS already has some 6500 fighters in Libya, of whom around 1000 are women (who will doubtless be used in suicide operations). Plans are already afoot to create an IS 'navy' (for ferrying migrants, piracy, and use as boat-bombs) and to acquire anti-ship missiles from Hamas. Hence it is highly probable that Libya will soon be aflame. The threat to the remnant Church is extreme. Furthermore, if the jihadists (led by IS) have success in Libya then Egypt will be in their sights, as will Italy and Rome (the goal). As a vulnerable, persecuted minority, Egypt's indigenous Christian Copts would be gravely and existentially imperilled, as would the vulnerable, largely Berber Church in Tunisia and Algeria. These minority Christians do not have state power or an army to protect them. Indeed -- everything is better when the jihadists are divided and at war with each other. We must not sit idly by as evil advances, 'for we are not ignorant of [Satan's] designs' (2 Corinthians 2:11). * Yahweh Sabaoth, the Lord of Hosts, will intervene to 'throw [the jihadists] into great confusion, until they are destroyed' (from Deuteronomy 7). May they 'fade like the grass'; may their 'arms' (means of action) 'be broken'; may they 'vanish' like 'smoke'; may they be 'cut off' (from Psalm 37). May the LORD contend with them (from Isaiah 49:24-26)! It appears likely that Libya's newly formed UN-backed Government of National Accord (GNA) will invite Western powers to launch an anti-IS military intervention in Libya. However, the GNA is rejected by both the Islamist government in Tripoli and the anti-Islamist government in Tobruk. Meanwhile, Libya's Islamic jihadists have united with the aim of capturing the oil fields and launching jihad into Egypt and across North Africa, as well as into Italy and across Europe -- hence the likelihood that Libya will soon be aflame. The threat to the remnant Libyan Church is extreme. If the jihadists succeed, the threat will spread explosively. Egypt's indigenous Christian Copts also would be gravely imperilled, as would the vulnerable, largely Berber Church in Tunisia and Algeria. Please pray for God to intervene in Libya. Updating RLPB 344 (14 Feb) and RLPB 345 (23 Feb) -- Government forces are pressing in on the 'rebel' (Nuba) capital of Kauda from positions in the east and south. Aerial bombardment has also reached the outskirts of Kauda. Though massively outnumbered and out-gunned, the rebel Sudan People's Liberation Army-North (SPLA-N) is holding its ground. The Sudan army, along with its allied Islamic paramilitaries, has vowed to continue military operations in South Kordofan until the 'rebellion' is 'crushed'. Meanwhile, the 'international community' is pressing the Nuba to accept the Government of Sudan (GoS)-approved Framework Agreement and agree to a ceasefire. It is worth remembering that this 'rebellion' only exists because the Arab Islamist GoS reneged on its promise -- sealed in the January 2005 Comprehensive Peace Agreement -- to conduct popular consultations in South Kordofan, Blue Nile and Abyei, so that the concerns of the non-Arab, mostly non-Muslim peoples might be addressed. Opting instead to ethnically cleanse and occupy the resource-rich 'new south', in 2011 the GoS launched a genocidal jihad. The 'international community' remains silent in the hope that Khartoum will provide intelligence for the 'war on terror', something Khartoum, a major sponsor of international terror, will never do. Meanwhile, the mostly Christian Nuba struggle to fend off genocidal jihad. Nigeria's new president, Muhammadu Buhari, might be making some ground in the fight against Boko Haram, but the perpetual southward advance of the Muslim Fulani receives little attention. This advance involves the ethnic cleansing of Christians across the volatile Middle Belt and now increasingly in the South. Desertification and modernisation have caused the cattle-herding nomadic Muslim Fulani to migrate south into Christian regions. Clashes erupt when Fulani herdsmen invade private farms so their cattle can feed on the crops, as well as when Muslim Fulani settlers subsequently compete with Christian indigenes for land, water, jobs and political power. Boko Haram and Islamists in the Nigerian military support the Fulani Muslim, providing them with high-powered weapons and back-up to facilitate a 'predatory migration' and Islamic jihad by proxy. Furthermore, many Christian leaders are of the opinion that Muslim governors are 'beating the drum' to which the Muslim Fulani 'are dancing'. 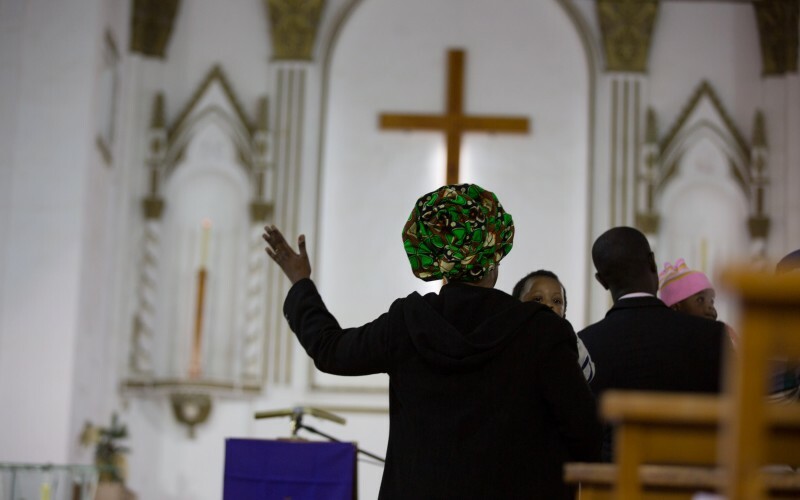 The town-by-town ethnic cleansing of Christians and eventual occupation and rule by Muslims attracts scant attention from mainstream media -- obsessed as they are with politically-correct messages -- as does the fact that some 1.3 million Nigerian Christians are this day internally displaced. 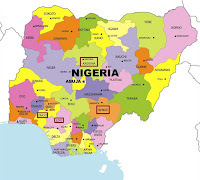 From 22 to 29 February Fulani herdsmen massacred an estimated 300 mostly Christian farmers in the Agatu Local Government Area of the mostly Christian state of Benue, in Nigeria's volatile Middle Belt. The destruction was enormous, with whole villages razed and some seven thousand Christians displaced. Whilst churches were burned, mosques were spared. Christian Solidarity Worldwide reported on 7 April that more than ten villages remained under siege and that continuing violence had caused the death toll to rise to some 500. Recent Fulani attacks in Ondo State in Nigeria's deep south-west has led Ondo Governor Olusegun Mimiko to warn that this 'monster' has become a threat to national security. 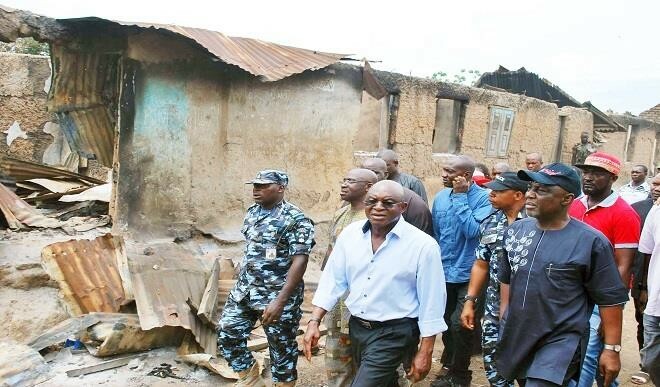 In the southern state of Edo, Governor Adams Oshiomhole warned on 11 April that the situation risks escalating 'beyond what we can manage quietly'. The government needs to act. On the pretext of preserving social cohesion, Kaduna State governor, Nasir El-Rufai, has proposed a truly draconian religious preaching bill, which is currently before the Kaduna State House of Assembly for consideration. Gov. El-Rufai also inflamed Christian leaders by publicly declaring that Kaduna state was 70 percent Muslim, when in reality it is 55 percent Christian. The religious preaching bill proposes that offences including preaching 'without a valid licence', or 'disturbing public peace,' or the use of 'any derogatory term in describing any religion' ... 'shall be liable on conviction to a term of imprisonment not exceeding two years or a fine of two hundred thousand naira or both.' [The full text of the bill can be found here (beneath the lead article).] Christian leaders fear that, if this preaching law is enacted in Kaduna, it will spread, furthering Nigeria's Islamisation. Update to RLPB 350 (30 March 2016): On 21 March, three leading figures from the United Church of Christ in Nigeria were abducted on the southern outskirts of Kaduna. The body of Rev Iliya Anto has been recovered, and Rev Dr Emmanuel Dziggau and Rev Yakubu Dzarma were released on the night of 30 March. No further details are available. * intervene for his besieged and imperilled people, giving wisdom to all leaders and 'strength to those who turn back the battle at the gate' (from Isaiah 28:5-6 ESV). 'And David came to Baal-perazim, and David defeated [the Philistines] there. And he said, "The LORD has broken through my enemies before me like a breaking flood." Therefore the name of that place is called Baal-perazim [meaning: the Lord of the breakthrough]' (from 2 Samuel 5:17-25 ESV). * provide for his persecuted, displaced, fearful and grieving people: may all their needs be met -- spiritual and pastoral, emotional and psychological, and physical (i.e. medical care, clean water and food security, shelter and education). May God fire up the Church, his human instruments, to come to their aid. The Government of Sudan (GoS) has been waging a genocidal jihad against the predominantly Christian Nuba of South Kordofan since June 2011. GoS forces are presently pressing in on the 'rebel' (Nuba) capital of Kauda, with both ground troops and aerial bombardment. Despite being massively outnumbered, the rebel SPLA-N army is holding its ground, preventing genocide. Meanwhile in Nigeria, Boko Haram and Islamists in the military and government are supporting the southward migration of the nomadic cattle-herding Muslim Fulani, facilitating a 'predatory migration' which is effectively an Islamic jihad. Fulani expansion involves the ethnic cleansing and then occupation of Christian villages, compounding the Islamisation of Nigeria and the suffering of the Church. Meanwhile, a draconian religious preaching law looms over Kaduna. Please pray for the Church in South Kordofan and Nigeria. PLEASE NOTE: Elizabeth Kendal will be speaking at two conferences in Canberra between 15 & 19 April. Consequently, next week's RLPB (353) will be issued a day later than usual. Her new book, After Saturday Comes Sunday: Understanding the Christian Crisis in the Middle East, is presently being published by Wipf and Stock (Eugene, OR, USA) and will be available shortly. CONTEXT: Located between the Black and Caspian Seas, the Caucasus states sit on a volatile, geo-strategic, ethnic religious fault-line between three powers: Turkey, Iran and Russia. Over recent decades, oil and gas pipeline politics has caused the strategic and economic value of these states to skyrocket. Should war erupt in the South Caucasus (specifically between Armenians and Azerbaijan) it would be likely to take on regional dimensions, with Russia backing Armenia, and Turkey backing Azerbaijan. BACKGROUND: In 1915 some 1.5 million Armenians were slaughtered and starved to death in the Armenian Genocide. Many thousands more were expelled or forcibly Islamised and 'Turkified' as Turkish ultra-nationalists incited ethnic-religious cleansing to rid the Anatolian Peninsula of non-Turks. In May 1918 the newly independent state of Armenia was declared, alongside the newly independent state of Azerbaijan. Although Nagorno-Karabakh (N-K) was historically, culturally and demographically Armenian (94.5 percent), Azerbaijan claimed the mountainous territory as its own. War erupted. Exploiting the chaos, the Soviets invaded and annexed the region, dividing it between the Soviet Republic of Armenia and the Soviet Republic of Azerbaijan. 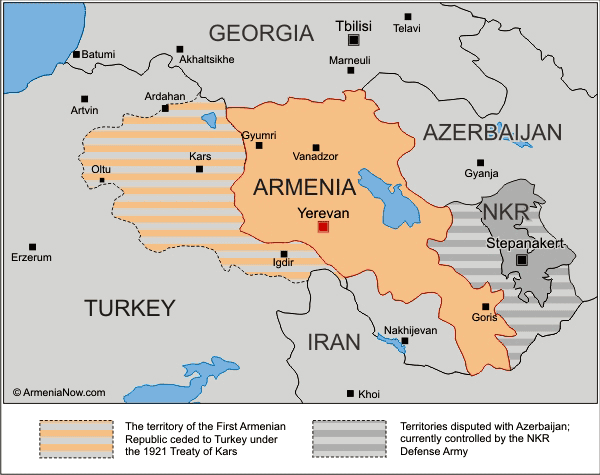 To compensate Armenia for its massive territorial losses -- specifically the loss of Western Armenia to Turkey -- N-K was awarded to Armenia. However, when Turkic Azeri communists protested, Stalin stepped in. In 1923, to appease both Turks and Communists, he handed N-K (Armenian Christian) to Azerbaijan (Turkic Muslim), with N-K having the status of an autonomous oblast (province). For decades, ethnic-religious tensions were suppressed due to Soviet Communist repression. In the 1980s glastnost (openness) and perestroika (restructuring) converged with Islamic revival to awaken Islamic identity and to fuel Islamic zeal. 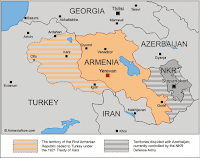 In 1990 the Soviet empire unravelled and Armenia declared independence. 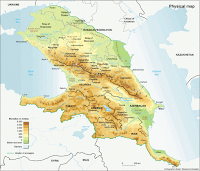 When Azerbaijan declared independence in 1991 it immediately abolished the N-K autonomous oblast. Horrified, N-K's Armenian Christians held a referendum on self-determination in which 99 percent of voters supported independence. 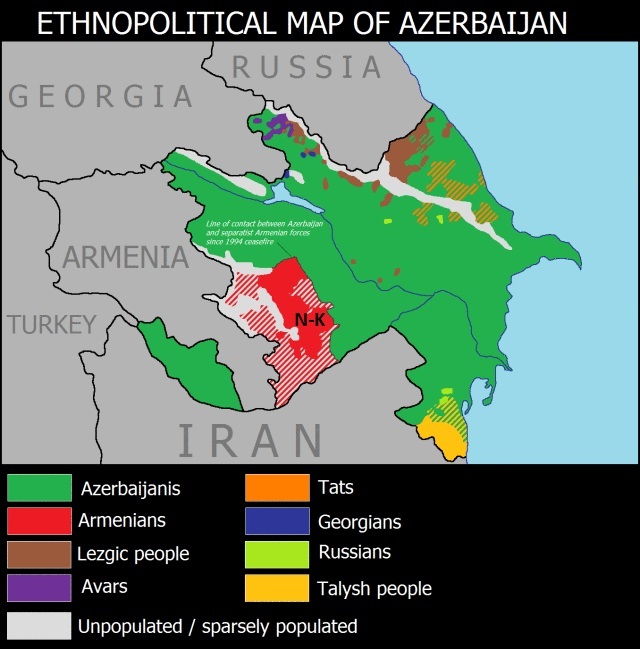 Azerbaijan responded by launching a war of ethnic cleansing against Armenian 'separatists' and 'occupiers'. By 1993 Azerbaijan -- then a terror hub servicing the Chechen War -- had incorporated some 2000 Chechen and Afghan jihadis into its armed forces to fight the Armenian Christians. Despite overwhelming odds, the N-K Armenians not only prevailed but occupied some 20 percent of Azerbaijan so as to create a buffer zone around N-K to protect civilians from shelling. In 1994 a ceasefire froze the conflict. While Azerbaijan insists that N-K is its territory, the Armenians of N-K would rather die fighting than surrender their historic Christian homeland to Turkic Muslims whom history has taught them not to trust. CRISIS: While border clashes have flared routinely over the years, the fighting that erupted on Saturday 2 April was different. Just one day after Azerbaijan's President Ilham Aliyev and US Vice-President Joe Biden met for talks in Washington, it was the worst violence since 1994. Today, as Azerbaijan states its willingness to 'liberate' N-K militarily, it is receiving loud support from neo-Ottoman Turkey. The US too -- being heavily invested in oil-rich Azerbaijan -- has declared its support for Azerbaijan's 'territorial integrity', while asserting that the status quo is unacceptable. So in attacking and provoking N-K now, what might Azerbaijan be hoping to achieve? Is Baku threatening to trigger a regional conflict: drawing in neo-Ottoman Turkey (to support Turkic Azerbaijan) and then Armenia (to support N-K); Russia (to support Armenia); the US (to protect its considerable economic interests in Baku); and transnational jihadis -- all in the hope of effecting a final solution on N-K and even possibly on Armenia itself? Such a scenario represents a pan-Turkist's dream and an Armenian's nightmare. Fighting has died down since a ceasefire was declared on 5 April, but tensions are soaring and the situation is highly volatile. * expose lies, propaganda, greed and megalomania for what they are: sins that give the devil a foothold to bring darkness, chaos and devastation to the earth, and great suffering to God's people; may all such evil be recognised and rejected and justice prevail. * draw Armenians and indeed all Christians into prayer, so they might put their trust not in weapons, not in defences, and not in humanity, but in the Lord their God who has promised that, when exalted and honoured, he will be 'strength to those who turn back the battle at the gate' (Isaiah 28:5-6). Situated between Turkey, Iran and Russia, the Caucasus sits on a geo-strategic, ethnic-religious fault-line. Despite being historically, demographically and culturally Armenian and Christian, the region of Nagorno-Karabakh (N-K) is claimed by Azerbaijan (Turkic Muslim). 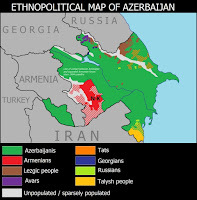 In 1923 Stalin awarded the region to Azerbaijan in a move to appease Turks and Azeri Communists. In 1991 the Soviet Union unravelled and war erupted over N-K. The N-K Armenians prevailed despite overwhelming odds, retaining their autonomy and establishing a buffer zone to protect civilians from shelling. In 1994 a ceasefire froze the conflict. The violence which erupted on 2 April was the worst violence since 1994. A ceasefire was declared on 5 April and fighting has subsided, but tensions are soaring and the situation is highly volatile. Please pray for the Armenian Christians of Nagorno-Karabakh.